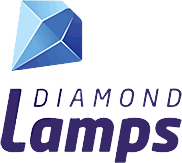 This information will answer most of your questions about gift vouchers and credits you can apply to the purchase of your lamp. If you have any more questions, simply call us at 289-813-2125 or contact us and we'll answer any of your questions. For any queries regarding the Gift Voucher System, please contact the store by email at 'sales@ProjectorBulbs.ca'.